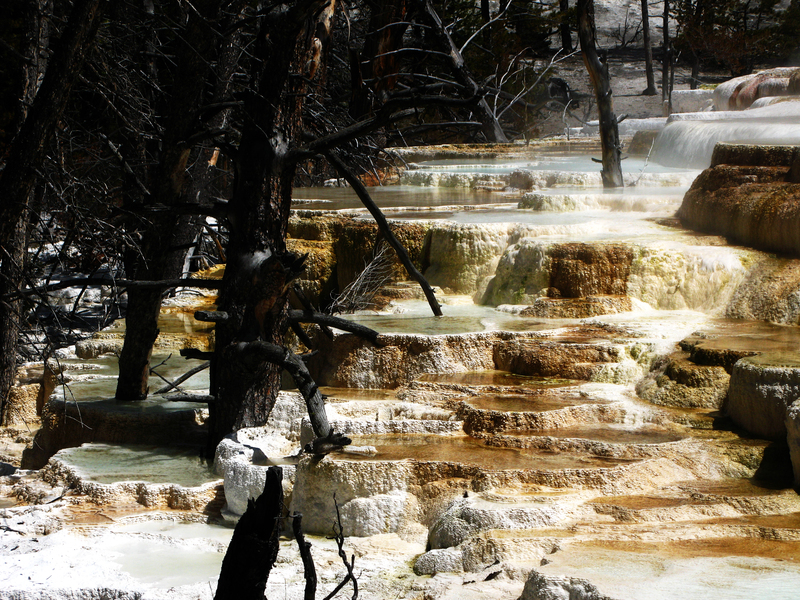 Hot Springs | Go Skiing!!! My last post about Yellowstone turned out to be quite popular. 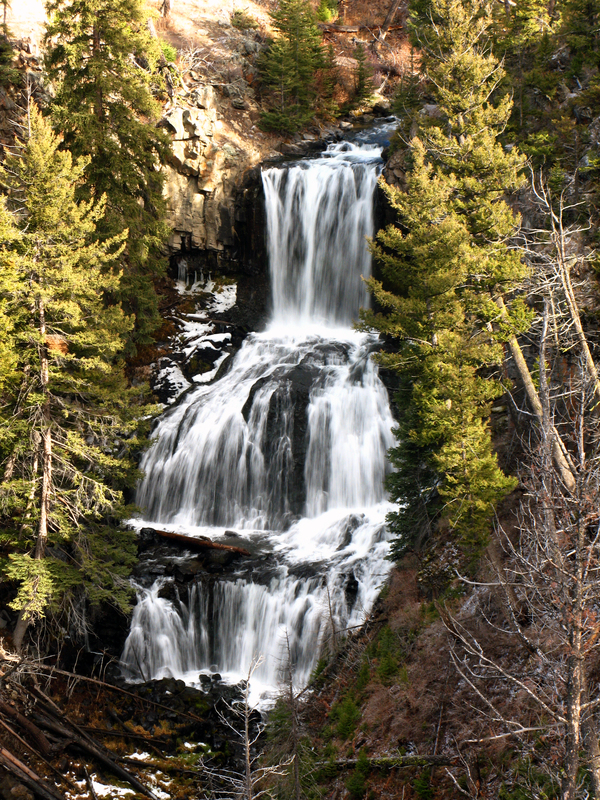 So here is some more Yellowstone National Park action! All the way back in May my mother came up to Bozeman and we spent a day in the Park with my older brother who was doing geothermal research. We got to get up and close to some features in Mammoth and learn all sorts of fun facts. 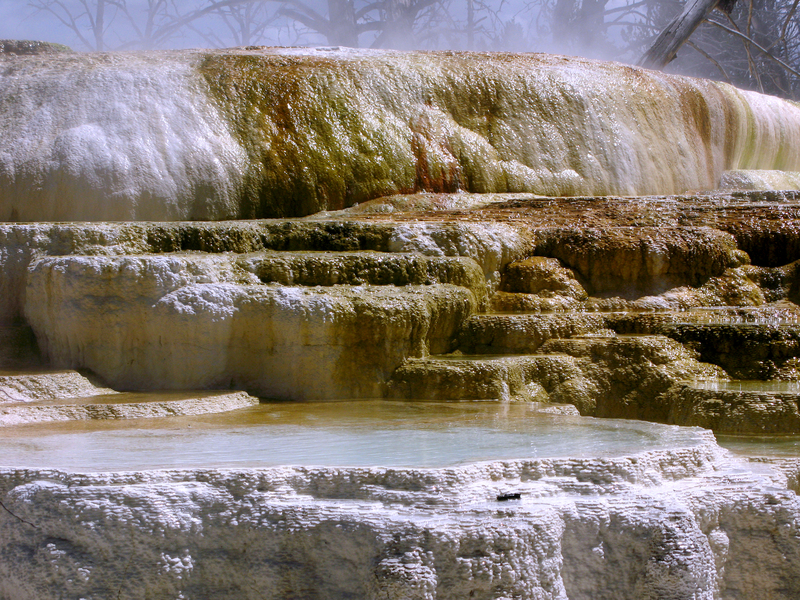 This hot spring is off the beaten path and I think is a fairly new spring. Narrow Gauge hot spring used to be fairly small, but in the last ten years or so really started spewing water. Here you can see terraces forming around trees. 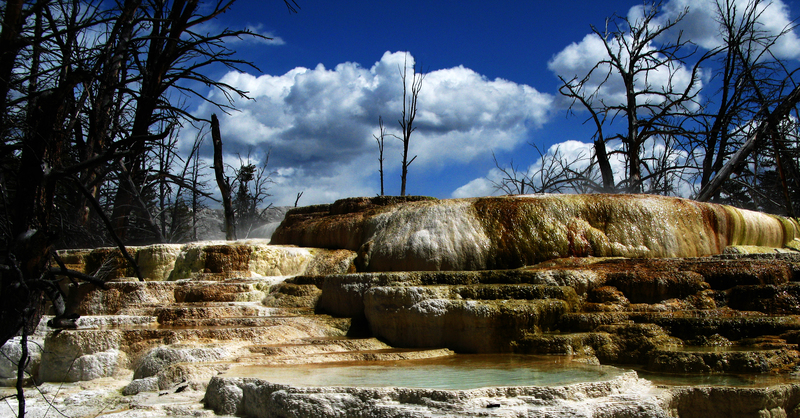 Narrow Gauge hot spring, near Mammoth hot springs. 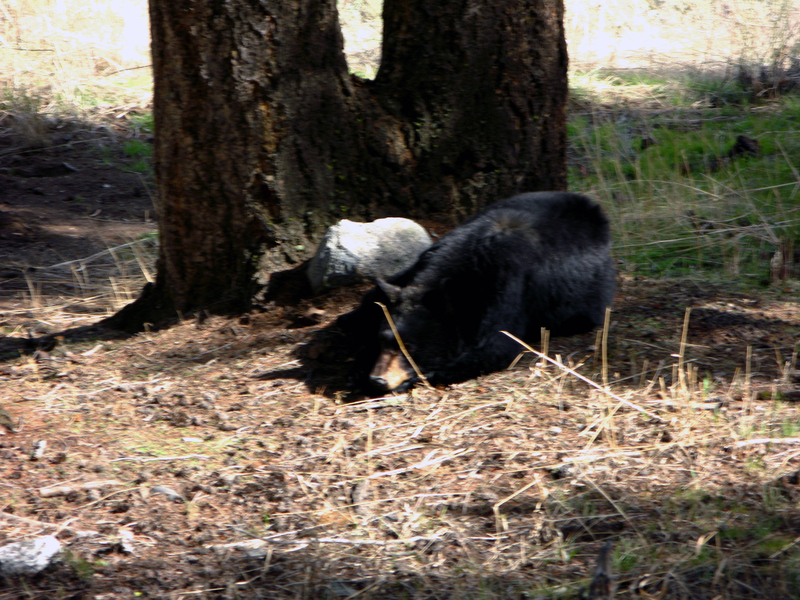 A little black bear taking a nap. 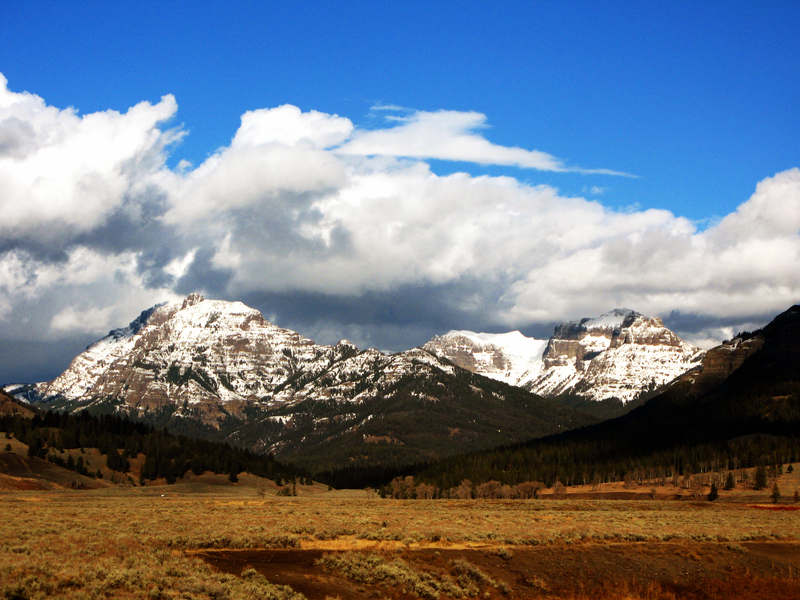 Then this last weekend I headed to Yellowstone one last time for the year. Only the Gardiner to Cooke City road was open, but we still drove to Cooke City then hit the boiling river. Pretty cool falls that I had never stopped at before. Don't know their name either. 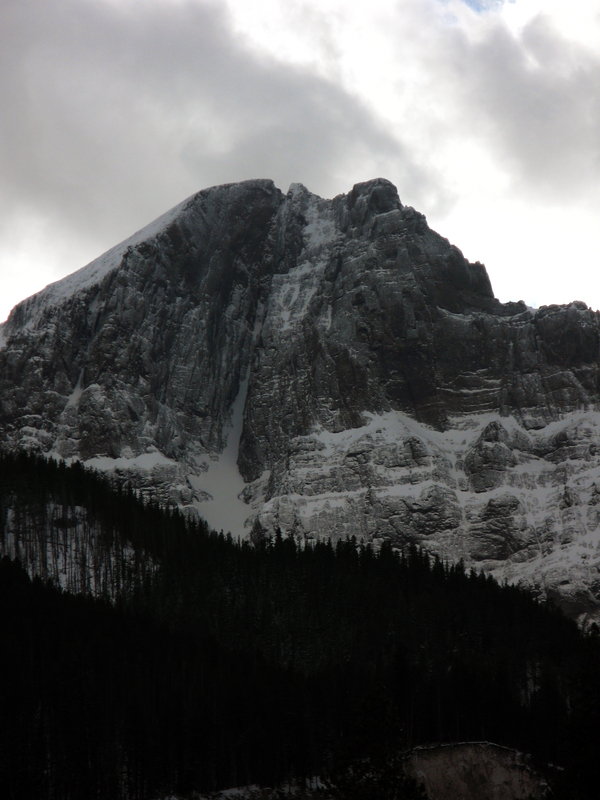 Abiathar Peak. Yes this face is skiable, and yes I want to make an attempt this winter. Lamar Valley looking back towards the Absaroka Mountains.